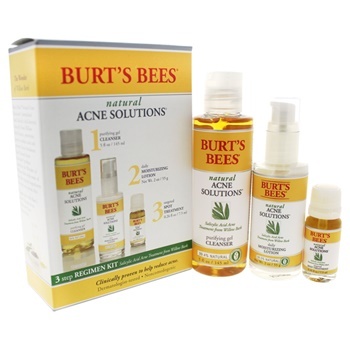 This kit contains a cleanser, moisturizer and spot treatment. The purifying gel cleanser washes away acne-causing bacteria, excess oil and impurities without over-drying or irritating skin. Hydrates while calming irritated skin.